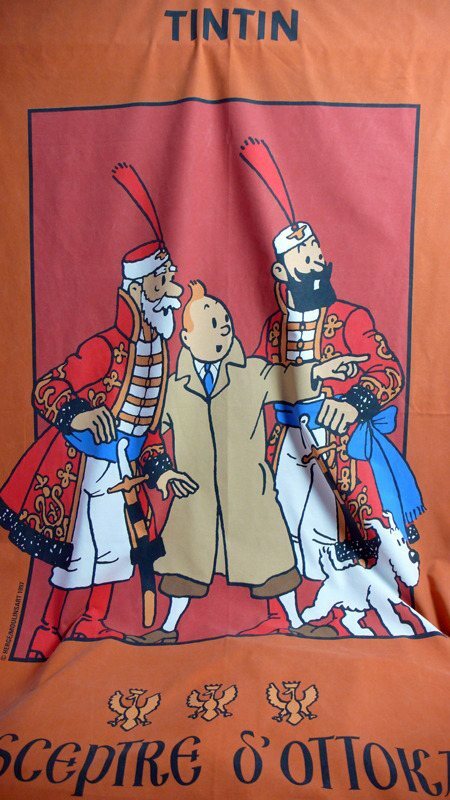 This is a large, French cotton panel showing Tintin and Snowy with a couple of characters from Herge's 1939 book, King Ottokar's Scepte. 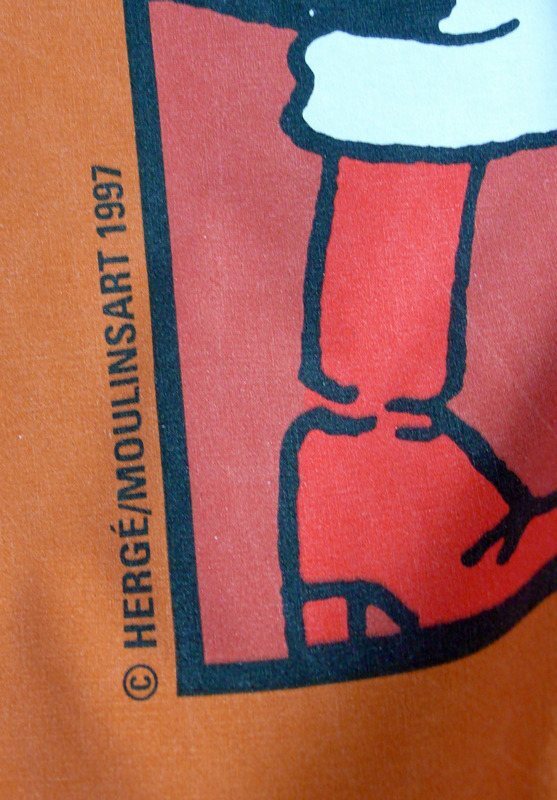 The main picture is set on red background. 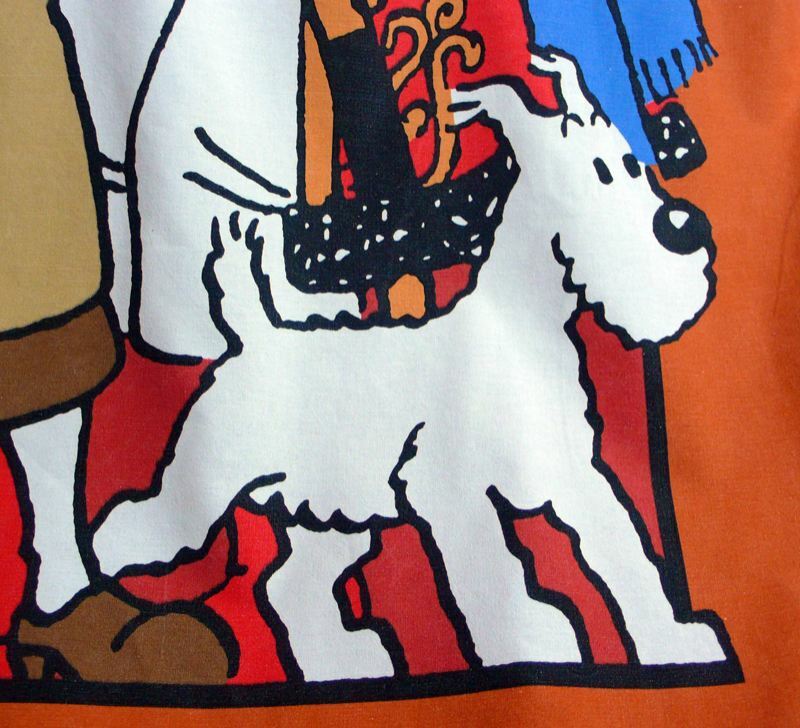 The outer fabric is a muted orange with Tintin's name across the top and the French title of the book at the bottom. There are a variety of symbols dotted in the outer border. This is quite a large fabric piece. The main picture is 170cm x 111cm and the outer border and writing adds a further 8cm all around. There are two of these, they would be fabulous backed and turned into (unique) curtains or the front piece of a large bedspread or quilt. These would match the Ottaker fabrics in the shop. 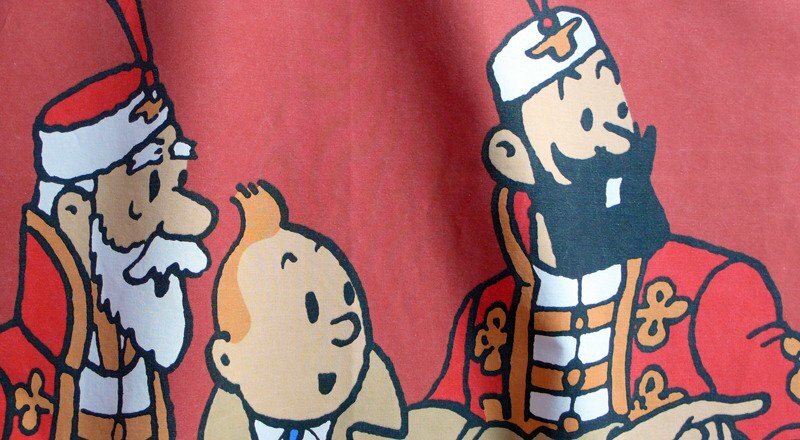 This is a vintage fabric but it is in excellent condition with no signs of wear at all. The cotton is strong, the colours are bright and there are no marks or stains. The price is for one complete panel.